Used these recycled spiral notebooks for all my students in my class. Thanks for the great product Custom Earth Promos. Going "green" has been a huge goal for our company for some time now. Thanks to you guys we can make it possible. My company has been ordering these notebooks from Custom Earth Promos for months now. They are perfect to give to current and potential clients. Thank you CEP! Classy notebooks that are made from recycled material. Easy to support products that are 100% eco-friendly. This is a perfect example. Our company was very impressed with the look and color of these spiral notebooks. "Going Green" has been a goal of our for some time, and these allow us to move in that direction. The thought of saving trees is just a wonderful idea to us. It makes our purchase of several thousand spiral notebooks very justifiable. Reasonably priced notebooks that really stand out among any competition. The color options are wonderful. 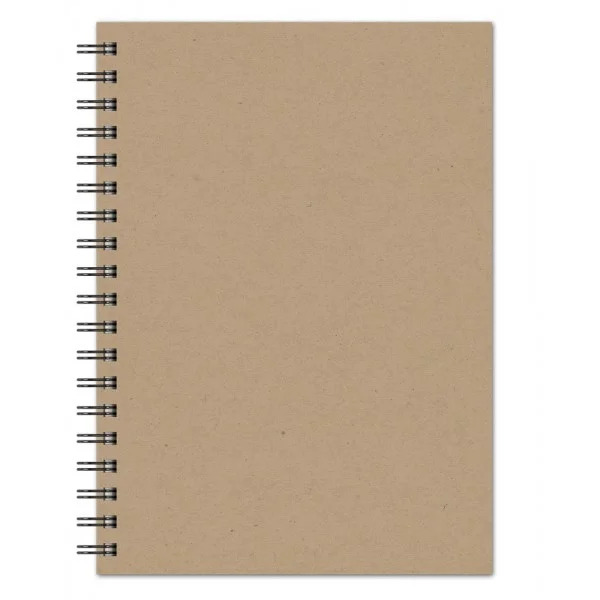 Our business name really popped on the cover of our Eco-friendly notebooks. Great promotional tool at all our events. Who doesn't need an extra notebook. Knowing that our brand will be looked at all the time is pretty cool. 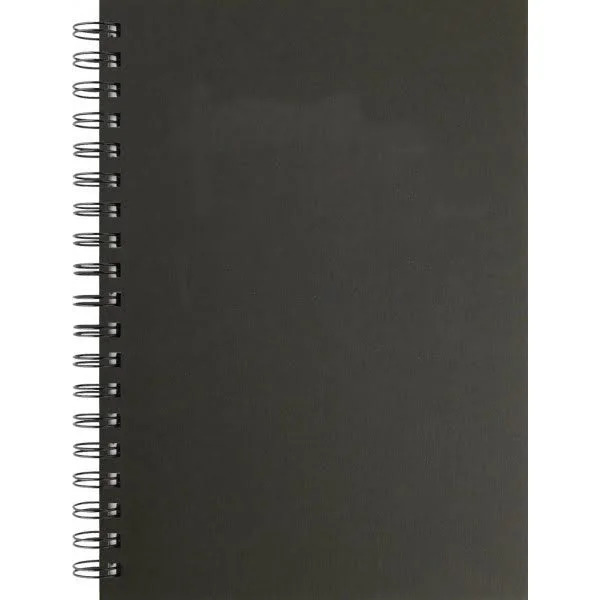 These spiral notebooks have been a great seller in our school store. Its a nice feeling knowing every time one is purchased, we helping to save the earth. Ordered 3,000 of the personalized spiral notebooks. Our company name looks wonderful on the cover, and supporting an Eco-friendly product is a must. The design team at Custom Earth Promos was so informative. They got all my needs met, and I am truly great full for their efforts. Working with Custom Earth Promos on all our projects have been very easy and affordable. We just personalized 2,000 eco-friendly notebooks. Personalized these spiraled notebooks for our annual events. In the business world having a notebook handy is a necessity. Having our logo stamped on the cover reminds everyone of us, and keeps us relevant. Custom Earth Promos is a top notch company. Take notes while contributing to the preservation of our environment with our Recycled Paper Personalized Spiral Notebooks. 100-sheets of recycled paper neatly bound together with a sturdy wire. Choose from 36 foil color imprinting options to make your logo stand out against the variety of earth-tone journal covers. A large imprint area of up to 16” is made available for your brand name to gain the ultimate brand recognition. 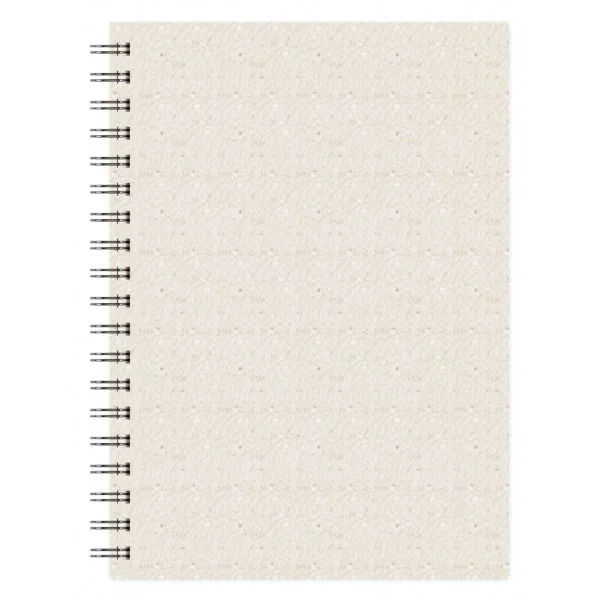 Our Recycled Paper Personalized Spiral Notebooks are environmentally friendly and the ideal savvy tool to brand your business. Each premier-quality journal consists of 100 pages with a spacious cover canvas eligible for imprinting your own design to produce unique brand exposure. Preserving the earth is a common interest for most consumers and with that being said, these eco-friendly journals speak for themselves. Consumers look up to brands that have a greater interest in mind while promoting themselves and with our eco-friendly spiral notebooks embedded with your logo, you are bound to not only gain brand recognition but a go-green identity appreciated by all. With an unbeatable price, there is nothing stopping you from marketing your company with an outcome of success! We offer a range of 26 imprint foil colors for you to choose from that will best emphasize your brand logo across the various cover back journal themes. We recommend that you take advantage of the screen imprint process as this provides the best color matching system in order to find the perfect color scheme. Our foil imprint process enables decorative designs and hairline registration that will make your brand logo pop! Feel free to contact us at any time to speak with a member of our design team for advice on decorative options that will best suit your brand. Each journal is manufactured from recycled eco-friendly paper which will label your brand with an eco-conscious charisma. These journals will pave a classy route for your brand to obtain the marketing trophy at your next business campaign. Contact our design professionals for a pre-production sample on your customized promotional journal prototype at a small cost. You can give the various color swatch options a trial run before finalizing the cover that accentuates the color tones that best represent your brand. Review the sample and then follow up with any changes you wish to make. Our professional team will help you fabricate a new customized design that replicates the vision you have in mind. Our typical turnaround time is approximately between 10 to 15 days, but if you have an upcoming event, we provide rush services upon request.